Over the last few months, a lot of indie games have seen announcements for iOS and Nintendo Switch ports. It seems like every indie is scrambling to cash in on the quickly growing Nintendo Switch install base and we have see many even have more sales on the Switch compared to other platforms. 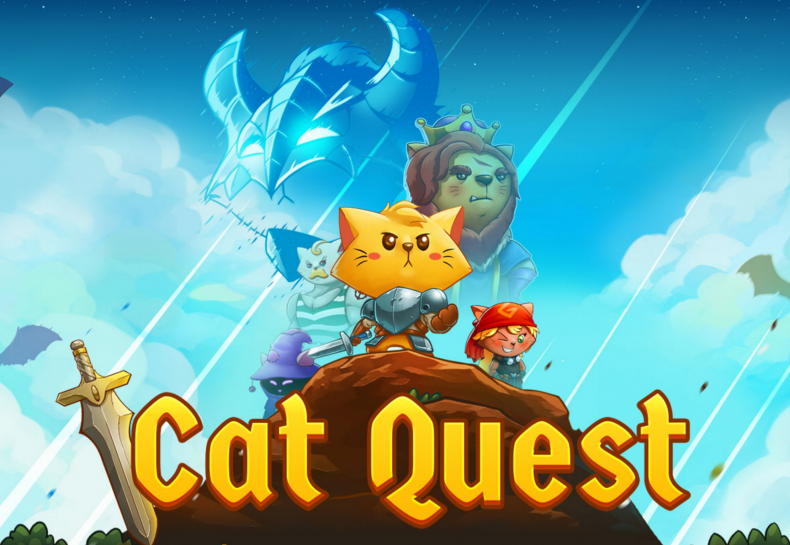 Cat Quest from The Gentlebros was on my radar ever since it was announced for iOS. My friend even sold me on it with a gameplay video that showcased amazing touch controls. Then it got announced for the Switch and I decided to wait for this version. The wait has been worth it because PQube Games and The Gentlebros have released a quality RPG that is purring with cat puns and one that is brilliantly suited for handheld play. Narratively, there’s nothing groundbreaking here. 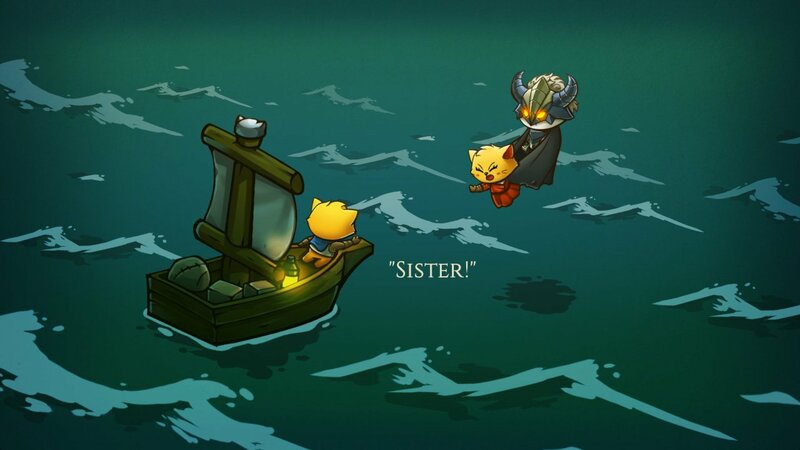 Cat Quest is a tale (I know what you’re thinking) about you trying to rescue your sister. There’s a definite influence from Skyrim and The Legend of Zelda here in terms of gameplay and in some story aspects as well. On the other hand, I love how self aware things get. The developers have definitely put some thought into when NPCs or enemies need a joke name for comic relief. These are regularly done but the only consistent thing is cat puns. There are tons of them from names of locations to dialogue, much like caesars casino bonus code. After getting your bearings in order through a short tutorial, you get into the main quest and explore the seemingly vast map with a lot of towns and side quests available. The 2D RPG has loads of stuff for you to do and a save system that is perfect for portable play. Each town has a cat nap area where you recover health and mana in addition to saving the game. You can even use this to your advantage by grinding enemies and saving frequently like the old days and Final Fantasy X. Thankfully there isn’t really a need to grind unless the combat doesn’t gel for you. Combat is fairly simple with the shoulder buttons and triggers allowing for spells with an attack and roll option for non magic combat. Even the gear has its own levelling system but things never get overtly complex for the sake of things. Cat Quest is a very nice looking game. The interface is colourful but functional and nothing really looks out of place. I can tell a lot went into the design of individual weapons and outfits. Character designs and enemies are well thought out with good animations. The game also runs brilliantly with only a handful of instances of stutter while panning the map. Overall, the port quality is very good. I do wish there was a touch screen mode though. The game already has an iOS and Android port and the Switch has a touch screen so I thought this alternate control scheme would be a given. My favourite part about Cat Quest is how well suited it is to playing on the go or just as a break in between other games. This month has turned out quite busy with releases and it is always great to find a new relaxing “break” game in between more serious things. After spending a bit of time with the Switch port, I bought the iOS version to check it out on iPad and it plays really well. It feels built for the platform with the touch controls as opposed to a port like some other RPGs on the platform. If you like cats and have wanted a relaxing RPG that has an almost Level-5 like charm in terms of writing and gameplay, Cat Quest is something you should buy right meow. It maybe too simple for core RPG gamers but as an introduction to the genre or just a fun experience on the go, Cat Quest is excellent. I hope a future patch can fix the minor performance issues because this is the only cat RPG that lets you walk on water.